Wholesale Fabric, Wholesale Polyester Chiffon Fabrics. 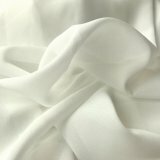 Vogue Fabrics offers a great selection of 100% Polyester Chiffon solids for bridal, prom and party dresses. Our selection is made up of 26 fashion colors ranging from pretty pastels to bold brights, making it one of our most complete and versatile collections. Polyester Chiffon Solids, 60" wide, 100% Polyester, Machine wash, Machine Dry Delicate. Priced per 25yd bolt.